Spanish-born Adolfo Nicolás, SJ, (b. 1936) was the 30th Superior General of the Society of Jesus. He entered the Society in 1953 and later studied at the University of Alcalá before going to Japan. After studying Japanese, he entered Sophia University in Tokyo, where he studied Theology. Nicolás was ordained to the priesthood in 1967. He earned a doctorate in Theology from the Gregorian University in Rome. Nicolás then returned to Japan and taught Theology at Sophia for the next three decades. During these years, his obvious talents led to appointments first in the Philippines, as the Director of the East Asian Pastoral Institute (1978-1984), and later in South Korea, where he helped the Jesuits transition from American to indigenous leadership. In 1993, Nicolás was named to a six-year term as Provincial of the Japanese Province after which he spent three years working with poor immigrants in Tokyo. 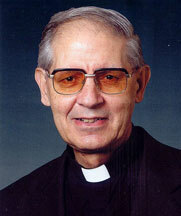 In 2004, Nicolás returned to the Philippines to become Moderator of the Jesuit Conference for Eastern Asia and Oceania. Chosen to attend the 35th Congregation of the Society of Jesus in Rome, Nicolás was elected as Superior General of the Order on January 19, 2008. Nicolás’ biography shares a striking parallel with another of his more recent predecessors. Pedro Arrupe, the charismatic and controversial Superior General from 1965 until 1983, was another Spaniard who rose up through the ranks in Japan before being chosen to lead the Jesuits. Arrupe’s reign was marked by progressive challenges to the Church establishment, including clashes with both Pope Paul VI and Pope John Paul II. A Jesuit source in Rome said that the new boss had ruffled Vatican feathers in 1998 with his role in a request by Asian bishops for more local authority for Church decisions. If that is an omen for the nature of his administration, the new black pope may find himself clashing with the regular Pope, who has reaffirmed that ultimate authority lies with the Vatican. Nicolás presided over more than 19,000 Jesuits worldwide, so it is helpful that, besides his native Spanish, Nicolás is fluent in Catalan, English, French, Italian, and, of course, Japanese. Nicolás resigned as Superior General of the Society of Jesus in 2016. Blog posts about Adolfo Nicolás, SJ. Jesuit Superior General Fr. Adolfo Nicolás, SJ, introduces the depth of Jesuit vocation. Excerpt from the film Life to the Full. The New Jesuit General Part One: What Do You Ask of the Jesuits? In this first part of an interview given to the editors of Jesuit journals, Fr. Adolfo Nicolás reflects on his experience of being chosen as the Superior General of the Society of Jesus. He also reflects on the meaning of obedience and the necessity of creativity in engaging the issues of the modern world. The New Jesuit General Part Two: Has Spirituality Been Replaced by Ideology? In the second of three articles, Fr. Nicolás discusses the impact of the Jesuit commitment to social justice, especially as seen in terms of the Asian experience of the value of harmony in society. He stresses the need to approach Asian communities with humility and a listening ear. The New Jesuit General Part Three: Is There Too Much Diversity in Society, or in the Church? In the third article of a series, Fr. Nicolás speaks of the need to appreciate more deeply the meaning of the sacraments and the need for priests to be more personal and pastoral. He also stresses how doctrines and teachings are not the end of the search for meaning in life, but the fingers that point the ways to deeper mysteries.